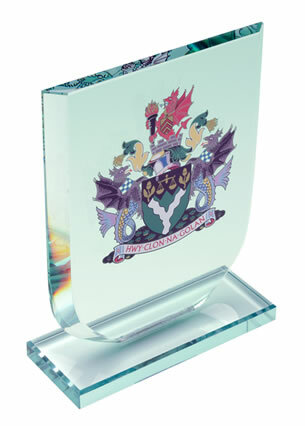 Desktop Paperweights - fine quality glassware paperweights, ideal for engraving as desktop gifts or corporate merchandise, and offered with low-cost engraving of text and logos. Colour branding also available. These modern circular paperweights feature rounded edges and are perfect for engraving on the base. 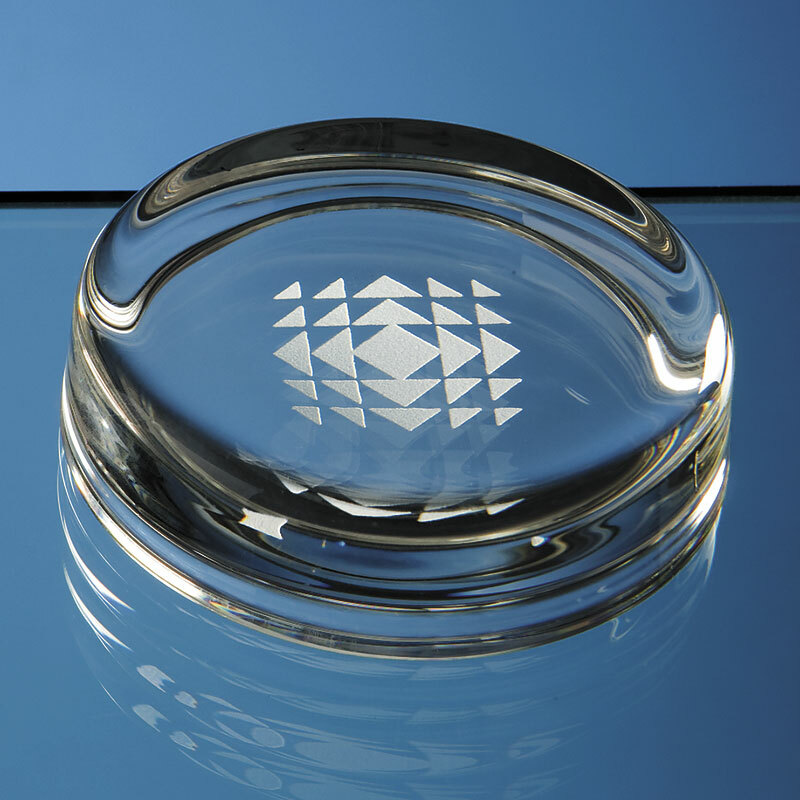 The engraving area for this glass paperweight is 42mm in diameter. 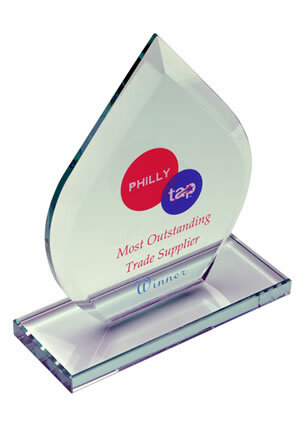 Ideal as corporate gifts or for distinctive recognition awards, these round paperweights can be engraved with your company logo, marketing message or achievement details. 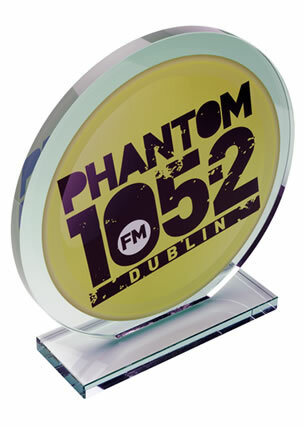 We offer low, fixed-cost text engraving on all orders and free logo engraving (one-off set-up fee applies to logo engraving) allowing you to customise your glass paperweights.